What do the Masters of Light say about the capital punishment? Those who are involved in this "legal murder" will create a bad karma for themselves, lowering down from plane as a consequence. A spirit is free to decide how to learn the lesson of respect for life; chances are that it will plan to go through the same vicissitudes as the person who was sentenced to death. Those who are in favor of the death penalty feel that it’s justifiable even if it executes innocent people in the process, of course, as long as they are not the innocent people sentenced to death. 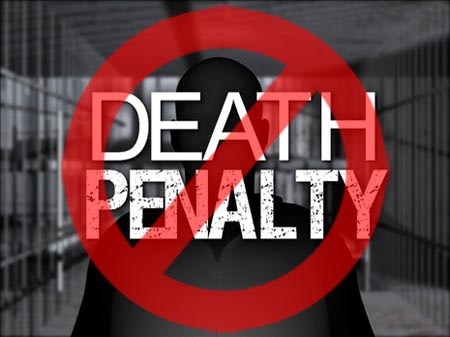 ...The death penalty, as a punishment for crime, is quite absurd. Interlocutor: Master there are some thing that could be approached in a next session, Is there something interesting about the Boston Strangler? There are some doubts as for if Albert DeSalvo was the murderer. Would it be something interesting to say about this case? Ruanel: No, It’s the well-known story. 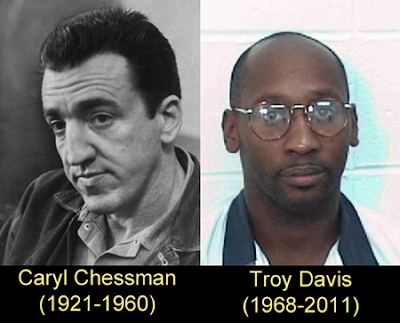 Interlocutor: Okay, Do you remember the famous case of Caryl Chessman? He always denied being the “Red Light Bandit” Was he? Interlocutor: Then, Would it be possible to redeem his name? Ruanel: He wrote the book Cell 2455 Death row, they have even made a film on his life, they have written books about him. Ruanel: It was a wrongful Conviction. Interlocutor: So, he was wrongfully convicted. Ruanel: The fact he was convicted means that he could have been executed or not. Interlocutor: Would it be necessary to hold a session to redeem his name or…? Ruanel: No. That’s enough, unless the spirit who animated Caryl Chessman wants to give further details, but that is a different issue. Interlocutor: Was there racial prejudice or they simply wanted to win the case? Ruanel: I understand that there was also racial prejudice because they don’t understand that a spirit has no race, no creed, no bank account. Unfortunately, the human being is very attached to prejudice. Interlocutor: However, they also wanted to win the case by all means. This entry was posted at Saturday, October 15, 2011 and is filed under Concepts . You can follow any responses to this entry through the .